Will Amazon Launch A Larger Kindle Fire In 2012? 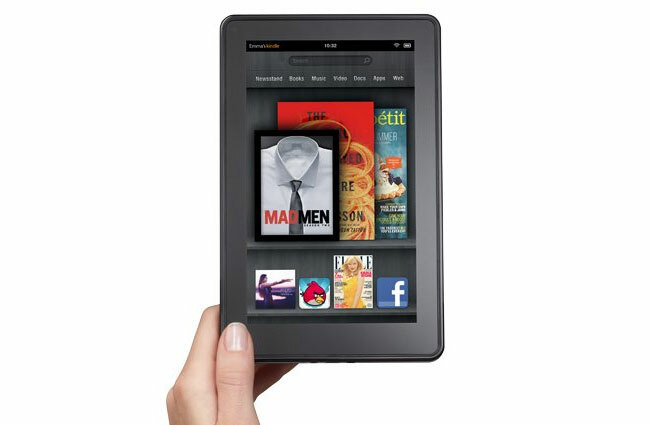 The rumor on the street is that Amazon will be launching a new Kindle Fire in 2012. One that is larger then the first. There may be some actual solid reasoning behind this one. Back before the Fire’s launch, there was a leak that detailed two tablets from Amazon. One was codenamed “Coyote,” an entry-level tablet with a dual-core processor. We know that this one was released in 2011. However, the other tablet, codenamed “Hollywood,” was much more interesting and would feature a quad-core Nvidia Tegra 3. At least one analyst, Chad Bartley, thinks that this tablet is still coming. He raised his 2012 sales forecasts based on “the new 7-inch and 9-inch models,” which he expects to launch by mid-year. And it makes a lot of sense. The 7-inch Kindle Fire cheap, well-made and was a dual-core tablet during the holiday season. Now that they have a success story, people are aware of the Kindle brand. Now they can launch a larger tablet and really take on Apple. If this is indeed the case, Amazon won’t kill the iPad by any means, but they can undercut it in price and really put a small dent in Apple’s sales. Of course, this is all speculation at this point, but it should be interesting.